Obituary for Helen M. Pappert | Hughes Funeral Home, Inc.
Helen M. Pappert, Age 95, of Troy Hill, on Friday, September 28, 2018. 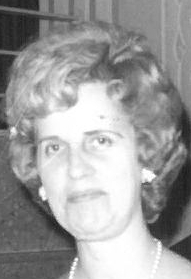 Dear daughter of the late Charles and Nora Pappert; dear sister of Jean Kuklis, Ruth Pummer, and the late Dorothy Modaffari; also survived by many loving nieces and nephews. Service and Internment will be held privately. Helens family would like to extend their sincere thanks and appreciation for the wonderful compassion and care that was given to Helen from AHN Hospice, Dorothy and the rest of the staff at Kane Regional Center Ross Twp.